Despite accountability’s bad rap, it contributes to incredible experiences for team members, suppliers, and customers. It also helps you lead a positive culture. What is an accountable company? uses data to align accountability with great process. In his article for the Harvard Business Review, Jonathan Raymond identifies five stages of accountability between company and employee. He stresses that although we often think of accountability in terms of “getting in trouble,” we can each point to a time where we gained a positive experience from it. Without accountability, employees can’t grow, and the company can’t innovate. An employee who is taking shortcuts, letting the team down, or having lapses in judgement impacts more than just him/herself. Such a person makes life more difficult for their teammates. They also lower the value of your service, and present a negative image of the business to the public. Pointing out where team members might be lapsing isn’t ‘being mean.’ If done in the right way, it can be one of the most caring things you do. Give them time to draw connections and find solutions. to be in a different role. Your accountability dial can be turned up gradually as you need. Everyone begins on the lowest setting. Raymond’s “settings” are designed to help team members realise for themselves where their behaviour is lacking. It helps them self-identify how they can improve and create a more positive work environment. It’s a hallmark of what is called positive leadership. 1. Mention it: Tell the employee what you’re noticing, and do it early. Maybe it’s an error rate, disengagement, or other behaviours. 2. Invite reflection: ‘Connect the dots’ between events, and ask employee what they have in common. Invite them to reflect. A system like myFLO can help you spot patterns in efficiency, performance, timing, costs (etc) that can help you find the pattern. 3. Coach them: Have a deeper, reflective conversation with your employee. 4. Set boundaries: This is normally the ‘getting in trouble’ part of accountability. 5. Set limits: Formal consequences, such as probation and termination. Data gives you the ability to show your employees what you are seeing. If you don’t have the right visibility over your data, managing any kind of performance is extremely difficult. Before you can have accountability, you need data. Without accurate data, you can’t see the issues that need to be resolved. Data enables accountability in three ways. 1. By showing you how you met customers’ needs. How? By keeping detailed records of maintenance, parts ordered, and tasks completed, you can demonstrate to a client how you’ve fulfilled your duties. With MyFLO, all data is real-time. If you’re in the office or in the field - or accessing it via a customer portal - it’s all the same, and always current. 2. By giving you clarity about team performance. How? Data on hours worked, jobs completed, and other productivity metrics allows you to compare teams and workers and see who is performing below average. This allows you to identify potential problems before they spiral out of control. Empirical data is a vital part of performance conversations and coaching. 3. By improving goodwill with suppliers. How? By backing up goodwill with solid data, so you AND your supplier know where everything is at any time. Data can also inform supplier codes of conduct (see below). 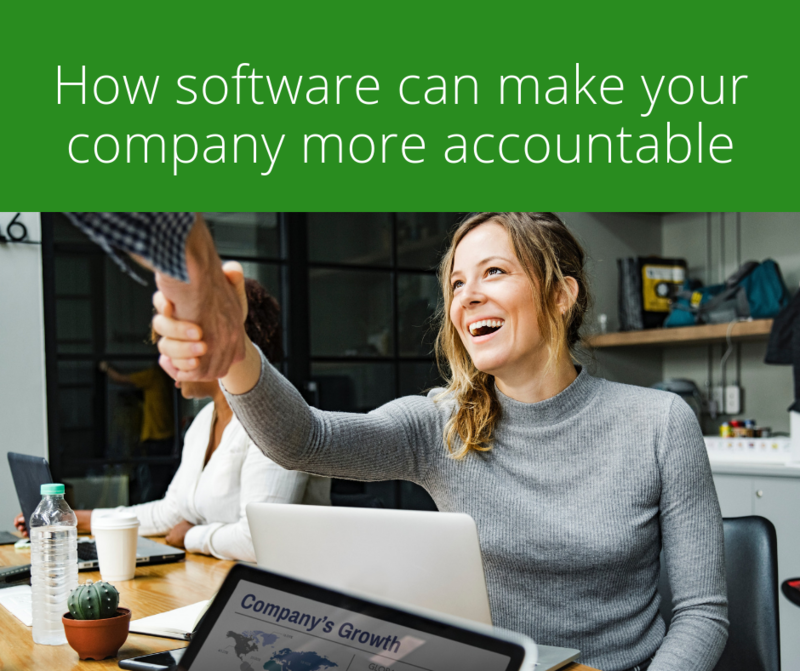 myFLO helps companies like yours to measure accountability in meaningful ways. Our system also offers accountability to your customers as a unique point of difference. Talk to our experts today to find out how you can power your business and your culture with the right data. Call and speak to a real person on 1300 78 46 60.